In my last post I began to think about how we can answer this question in a loving an honest way, especially in cases where it is not merely an exercise in philosophy but the sincere grappling of an earnest seeker. We saw that it is important to empathise with concerns of those around us to be honest when those concerns are valid. It is my aim in this post, not to formulate a reply, but to understand how these objections fit in with the teaching of the Bible. Here are a few thoughts about how we can resolve some of the tension by rooting out the misunderstanding of the Bible’s teaching on judgement and salvation. It is not true that God judges people simply because of what they believe about Jesus. The reason this person is struggling with a sense of injustice is because they are misinterpreting the gospel message. Jesus is not presented in the Bible as the correct answer on a multiple choice question ranging between 1-10 (only counting the major world religions). If we begin to think that God has set a test, and will bring us to judgement for getting the answer wrong, then no wonder it comes across as a little sadistic. If this is how we understand the gospel then we should experience anguish over those who are raised in parts of the world who do not even have “Jesus” as an option on the answer sheet. This however, is not the message of the Bible. How should we understand God’s judgement? The Bible doesn’t say that we will be judged because of what we believe about Jesus. Rather it is clear that we will be judged because of our sins and because of our sinfulness. Sins are our acts of disobedience and rebellion against God. We all commit these acts because we have disobedient and rebellious hearts. We are corrupt with evil and we commit deeds that are evil. This is the problem we have as people before a holy God. God cannot ignore immorality, nor can he excuse it, he must execute judgement otherwise God has no right to call himself just. This is as true of those who live next door to churches as it is of those who live in places where there is no church. All people will be judged with justice according to what they are, and what they have done. Nobody will be punished for something they did not deserve. This is the problem: No matter where we grow up, or who our parents are, we face God’s just judgement as those who are guilty. 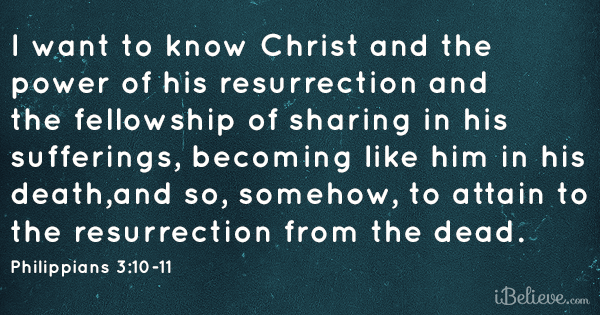 How should we understand salvation through Jesus? Rather than thinking of Jesus as the correct option on a multiple choice exam, we should think of him as a lifeguard. We are all drowning in sin and guilt. We are being swept away in a current toward God’s judgement. So how will we escape? The answer of all religions is to “swim faster”; do more good than bad and you may be able to swim yourself out of the current and safely to shore. The problem with this is that it is not the way justice works. If you commit a crime, you must be judged regardless of how much you give to charity afterwards. Jesus is the lifeguard sent to a drowning world. We have no hope of surviving judgement on our own. The message of salvation in Jesus Christ alone, proclaimed by Christians, is like the outstretched hand of the lifeguard who is willing and able pull us from the water and take us to the shore. Therefore we do not face judgement simply for “not believing” in Jesus. We are going to face judgement anyway, and to refuse Jesus, is to refuse the only one who can save you.